It's just one missed call, I'm sure that it doesn't mean anything serious, with that I was fooling myself for a whole two years, thinking I was doing good by trying to work out our relationship and let these small things slide, I didn't think for a moment that he was actually avoiding me purposefully, I didn't think that he doesn't care. I have been abused in my ex-relationship, I had been called stupid and unworthy which left me no joy, no confidence, and extremely low self-esteem. I got into a depression then. This abuse is as much dangerous as physical abuse and even worse since it breaks you from the inside first and then it shows on your outside. When you believe that you're not attractive, you'll loose your confidence more and more with each day you believe in what you've been told. When you believe that you're stupid and unworthy, you'll give up on your dreams and you'll eventually stop dreaming simply because you're too busy trying to understand the fault in you and trying to meet someone else's standards. But if you look closely, you'll find out that there's absolutely nothing wrong with you, except for you, accepting to be abused and devalued. Don't start giving excuses for the credit of your partner, if a relationship isn't making you a better person, a happier and more successful one, then it's definitely not worth keeping. Someone who loves you truly, can't be someone who's pointing out your flaws and making you feel less of yourself. When you know your worth, what others are thinking about you will cease to matter, their judgments won't be able to get into you, you won't believe it and for you it only shows others' limitations. You know yourself best, you decide for yourself and others' can't define you. If one thing I learned about love, then it would be that no word, no stare can equal a romantic deed, anyone can lie, but that's the far one go, deeds are for those who love honestly. To be advised and decide to experience it yourself and then at the end you find that the only thing that you came out with from the experience was that advise you refused to take at first, that, doesn't make you stupid, sometimes we learn best when we try it ourselves and learn the lesson ourselves. Somethings just can't be understood, until it's experienced, sometimes no matter how much advises you hear and read, you can't believe it until you see it yourself. And it's okay because you'll see it clearer, you won't be wondering if things could be any other way. I'm not regretting what I've been through, I had to learn, if that what it took then I should be grateful. 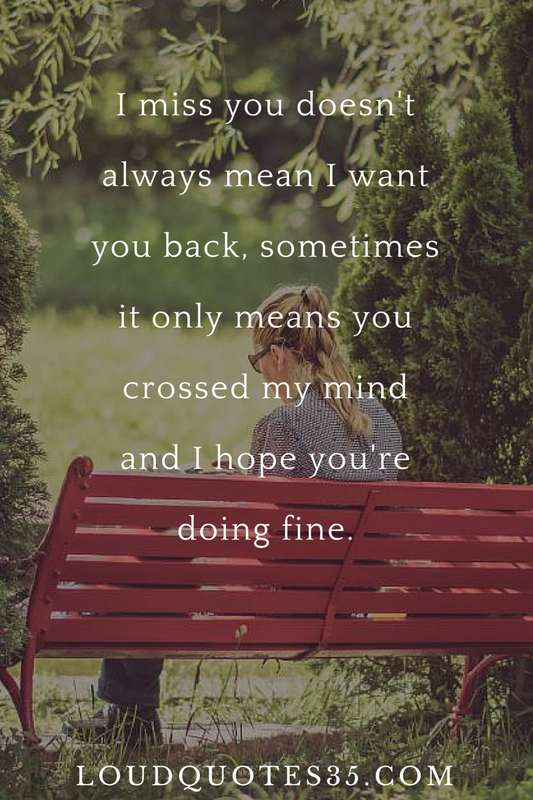 Don't feel bad because it was over, be grateful because it could have been worse if you stayed any longer in a relationship that isn't meant to be, or that is toxic to you. Keep in mind that you're better off without him! I know relationship is really important part of life but some time it can happended that your partner left you. that time it's really bad for our heart and that time many people will do harm things. 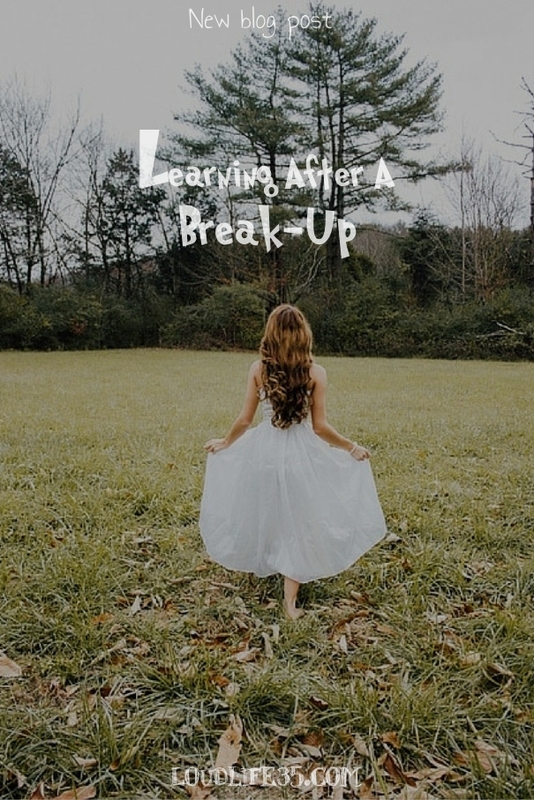 It's a hard time indeed when you first break up, eventually, it'll get easier. Life goes on! Thanks for sharing the video.